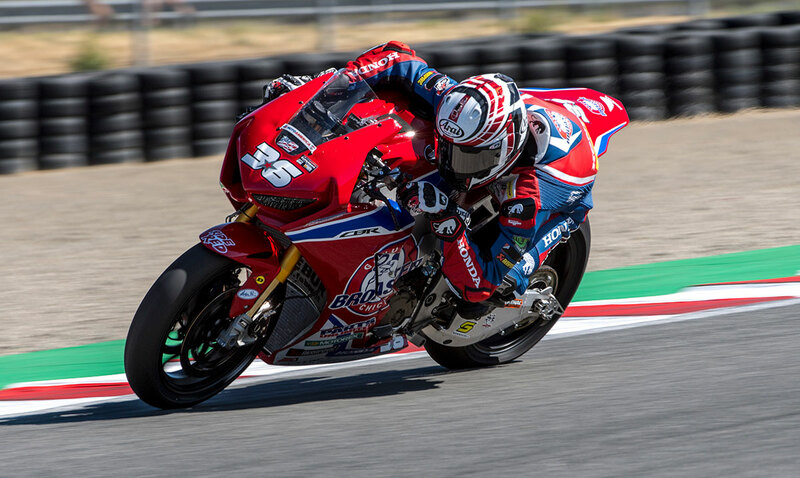 After several seasons competing overseas Californian Jayson Uribe was back in action on home soil this week aboard the Genuine Broaster Chicken Honda in the MotoAmerica Superbike Championship. The latest round of the series, which was held at the newly renamed WeatherTech Raceway Laguna Seca near Monterey, ran alongside round eight of the Motul FIM Superbike World Championship enabling Jayson to participate in various media activities alongside his on track commitments throughout the weekend. A small technical issue in FP1 limited Jayson’s time on track but the #36 bounced back in style to take 14th on the ultra-competitive grid, narrowly missing out on Superpole. With five points on the board and a weekend’s experience under his belt, Jayson is looking forward to the next round at Utah in three weeks. Racing aside, Jayson made history on Saturday by becoming the first MotoAmerica rider to sing on the WorldSBK Paddock Show stage, following in the footsteps of Jordi Torres, Roman Ramos and Leandro Mercado who take part in the annual charity rider concert at Donington Park (UK) every year. His rendition of a Jason Mraz classic had the crowd on their feet followed by several requests on social media of a repeat performance in 2019.